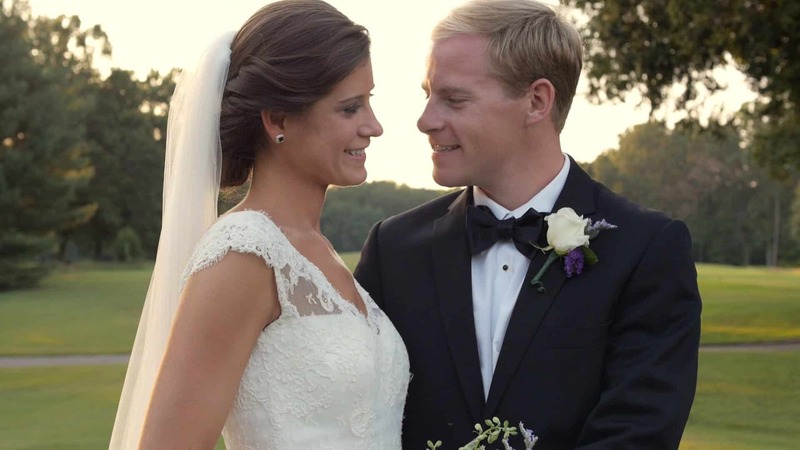 Lauren and Ehren’s Greensboro wedding video is unique to them, due to all the amazing details and attention they put into their wedding day. When our wedding videography team first arrived, we captured Ehren digging up an old bottle of bourbon. The buried bourbon was believed to ward off stormy weather for their wedding day at Revolution Mill. It definitely worked because the sun was shining SO bright all day long! Bridal and groom preparations were filled with anticipation for the big moment of when Ehren and Lauren would finally see each other for their first look at Revolution Mill. The moment really set in when Ehren opened his gift from Lauren, an engraved wooden box filled with slips of paper- all promises from Lauren to Ehren. Even our Greensboro videography team could not hold back the tears. 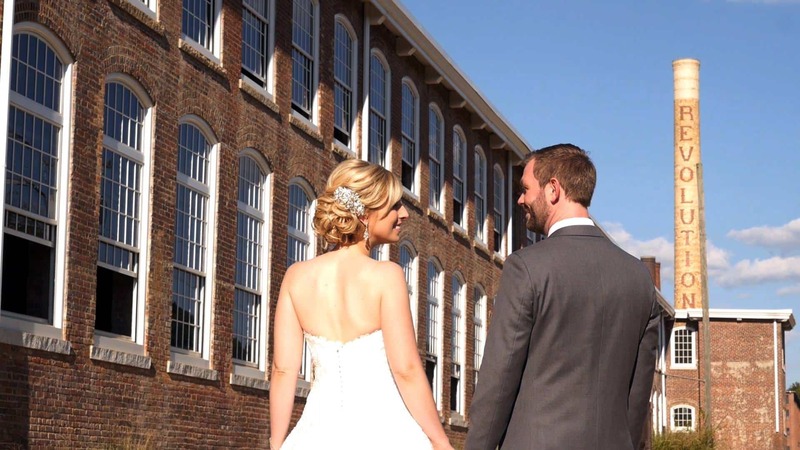 The bride and groom had their first look at the beautiful Revolution Mill and then it was off to the ceremony. Lauren was escorted by her parents to Ehren, who was waiting at the beginning of the aisle, so the two could walk down together. What a true sign of partnership. The couple had written amazing vows to not only each other, but Lauren had written beautiful vows to her new step-daughter as well. This is when our Greensboro videography team really lost it- I mean really. There wasn’t a dry eye in the house. After the ceremony, the reception was in full swing with a live band and a beautifully decorated venue. 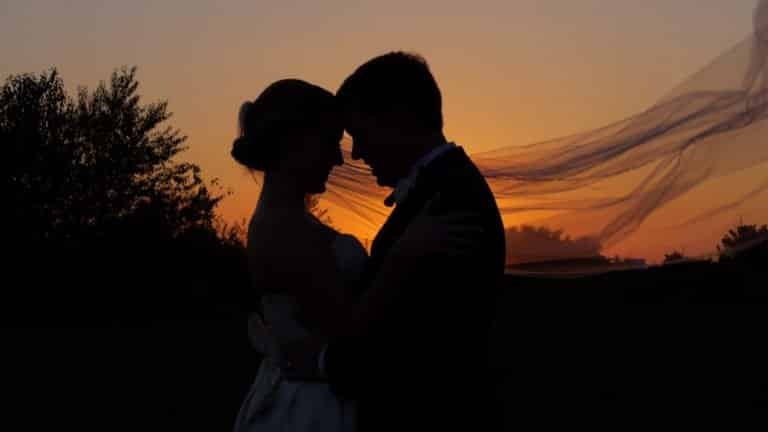 The couple had their first dance and completed their parent dances at the same time. The toasts to the couple were moving and one could just feel the love in the room for this couple. 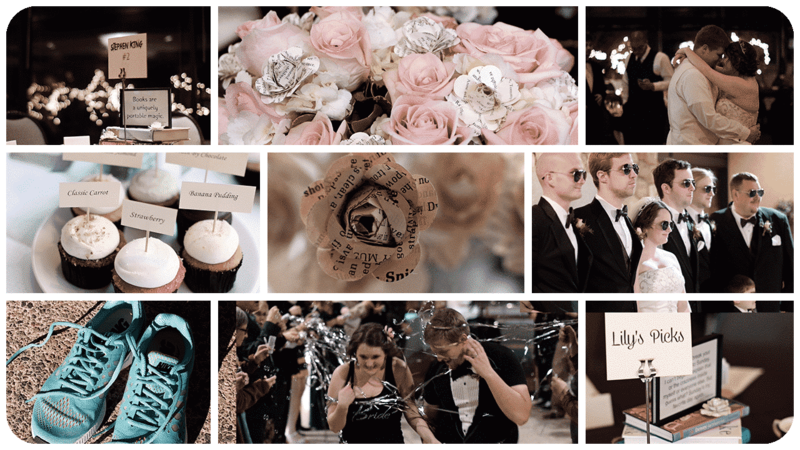 It was a true celebration of their union and our wedding videography team was so excited to be the ones to capture it. Congratulations to the happy family, Lauren, Ehren, and Lydia!